autoX’s first ever section cover for its motorsport coverage. 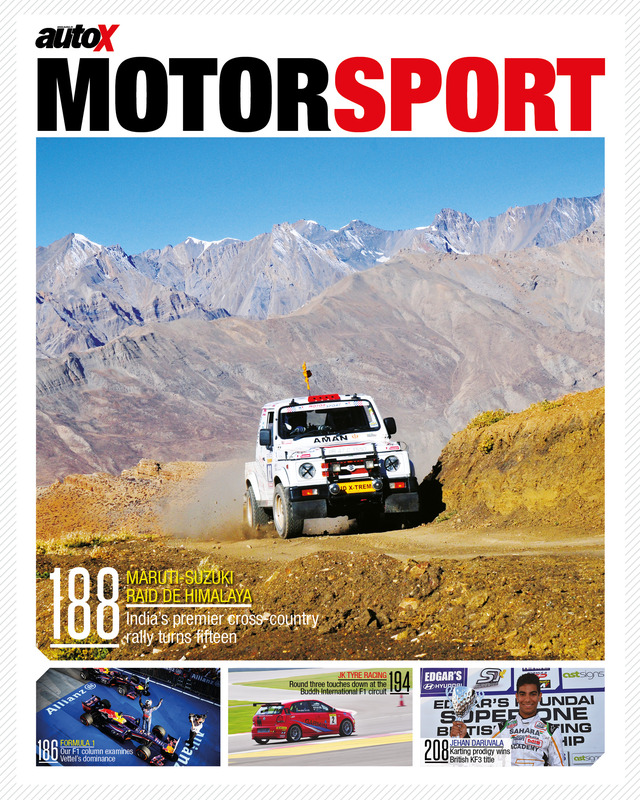 Fittingly, editor Dhruv Behl decided it would go in the 7th anniversary issue (November, 2013) and as luck would have it India’s premier cross-country motorsport event – the Maruti-Suzuki Raid de Himalaya – was featured prominently on the section cover. On this page are articles that have appeared in autoX since I joined in May of 2013. Have not posted all the articles I have written or any of the web-only pieces. The full list of motorsport related articles printed in autoX, going back to January 2012, can be read here. I had also worked at Hindustan Times from March, 2011 to April, 2013 almost exclusively covering motorsport, both national and international events, including the first two editions of the Formula 1 Indian Grand Prix. Prior to working as a professional journalist, I filed some stories for my college newspaper as well. Will keep adding more as and when they are published. – What are the first three drivers of the Sahara Force India Academy up to these days? – What on Earth happened to Sebastian Vettel and Kimi Raikkonen in the 2014 F1 season?